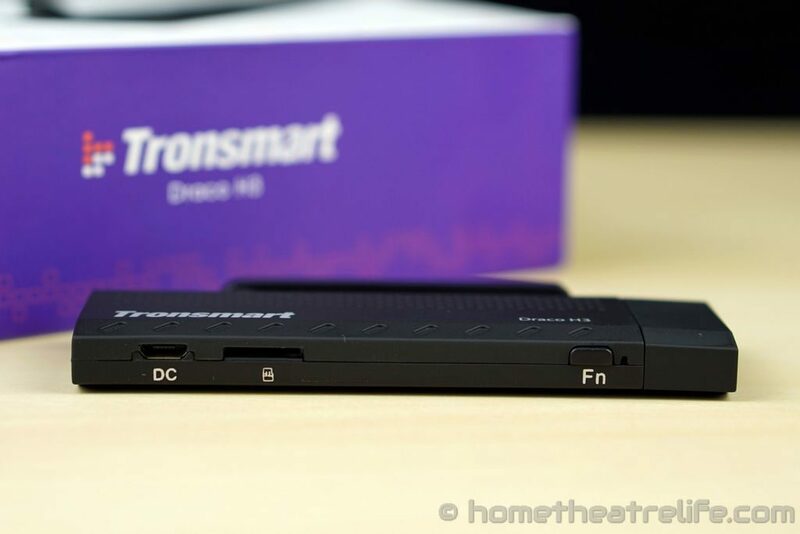 The Tronsmart Draco H3 is an Android mini PC powered by the quadcore Allwinner H3. 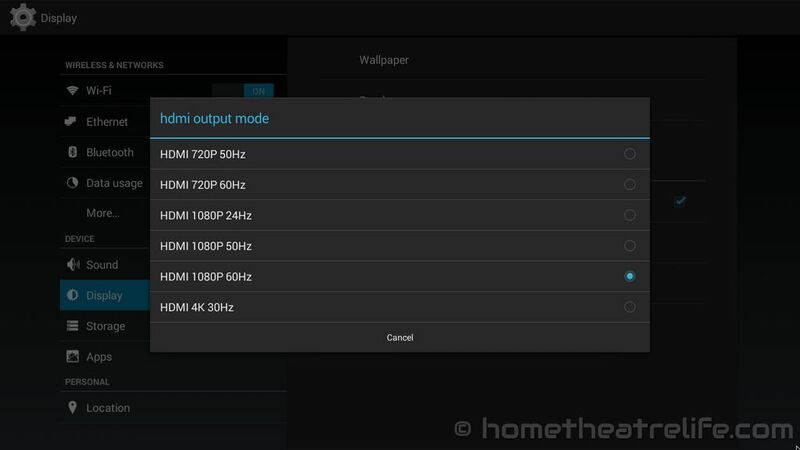 Thanks to the Allwinner H3, this Android stick PC can decode and output 4K content. Thanks to GeekBuying for providing me a sample to review. Click here to view the latest price. The Tronsmart Draco H3 is a tiny Android mini PC that’s capable of decoding and outputting 4K content. The Tronsmart Draco H3 is roughly the same size as other stick-shaped mini PCs such as the MK808B Plus or Intel Compute Stick. 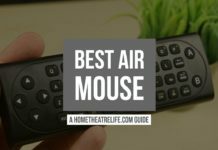 It’s covered in a nice rubberized coating which feels great and makes the device feel more expensive than it actually is. The design is military-inspired, featuring angled grooves and ventilation ports. 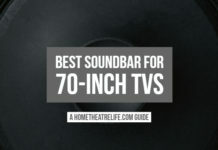 At just 101x37x10 mm, it’s incredibly portable. The ports are located on the side and bottom of the device. On the bottom of the device, we have a function button, micro SD card slot and DC In. The back of the device houses a USB OTG port and a fullsize USB port. It’s great that the Draco H3 has two USB ports, but the whole device looks slightly awkward when you’ve got a USB thumbdrive dangling off an OTG cable. 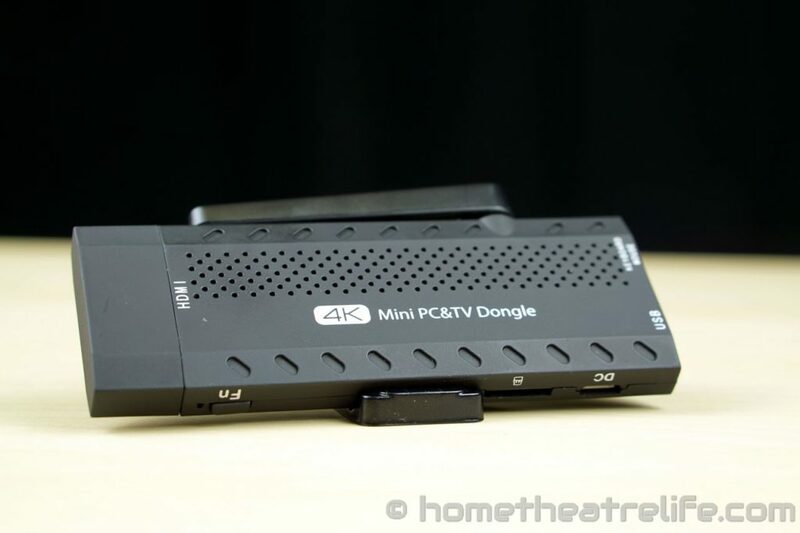 The male HDMI connection is hidden under a removable cap to keep things neat and protect the connector during transport. Just make sure you remember where you put it. 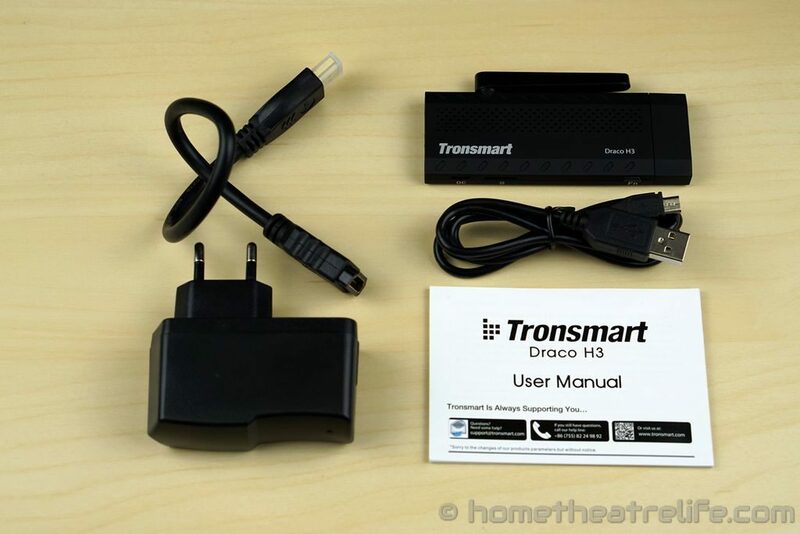 Like most Android stick PCs, plugging in the Tronsmart Draco H3 causes it to boot. A cold start takes around a minute and a half which is significantly slower than other devices I’ve tested. However, this device is designed to be left on constantly, so it’s unlikely to be an issue for most but still something to be aware of. Resolution was set to 720p on first boot but the Tronsmart Draco H3 supports 4K output at 30Hz. However, the UI resolution is locked to 720p . Thankfully, video output is unaffected by the UI resolution lock – with video playback under MXPlayer being rendered at its native resolution. The UI lock does impact all apps however. 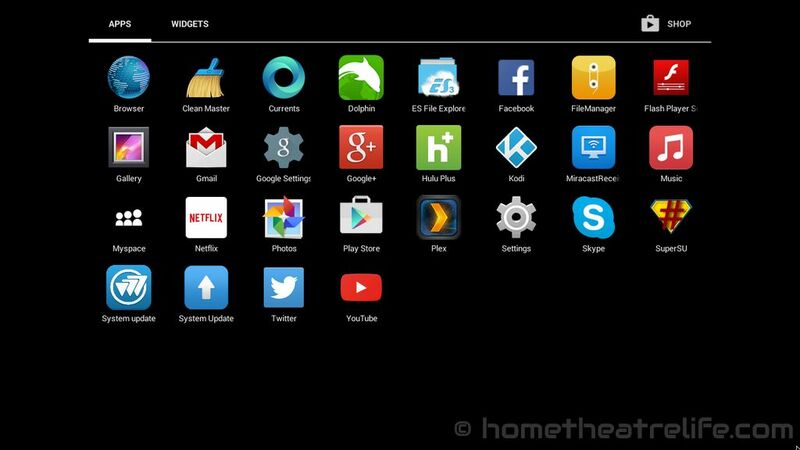 This means that apps like YouTube wouldn’t play any higher than 720p which is a shame. 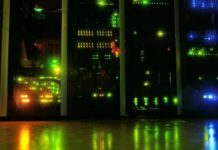 Tronsmart have provided a 1080p kernel for those who are willing to sacrifice OTA updates and some performance for the improved UI resolution. I’d guess the trade off is worth it for those who love glorious Full HD UIs or want to watch 1080p YouTube. The version of Android KitKat on the Tronsmart Draco H3 is essentially stock. The only noticeable customization is that Tronsmart have included a few key media apps as Netflix, Hulu Plus and Plex as well as an OTA update function. The OS feels pretty good most of the time, with animations remaining smooth throughout. Although I did find that there was an occasional delay when opening an app or multitasking a lot. 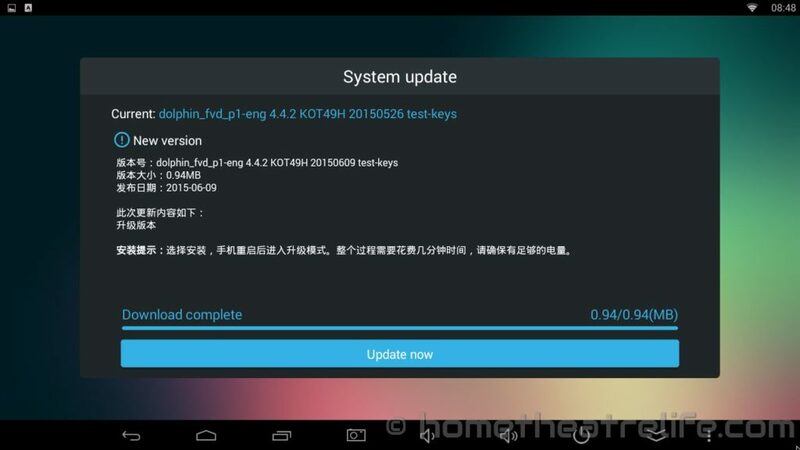 The OTA Update feature makes getting the latest firmware a breeze. Clicking “Update now” downloaded the new firmware, rebooted the device and installed it. The device comes pre-rooted out of the box for those that need it. 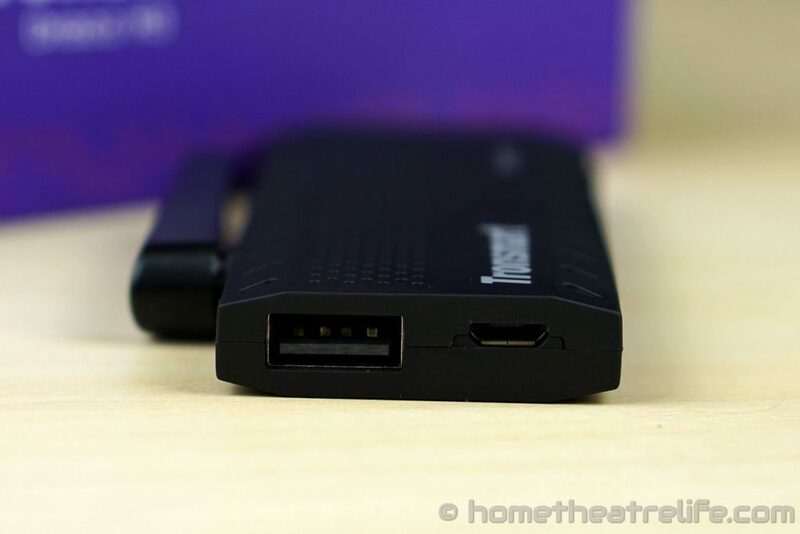 The Tronsmart Draco H3 comes with Miracast support. I was able to cast my Galaxy S4’s screen to the Draco but there were weird video artifacts down the right side of the screen which made it unusable for any sort of landscape sharing. However, this could be due to an incompatibility in my phone’s ROM rather than an issue with the unit’s Miracast implementation. I was able to plug in my USB drive and 2.5″ HDD and play videos without any issues. The USB drives were automatically mounted upon plugging them in. 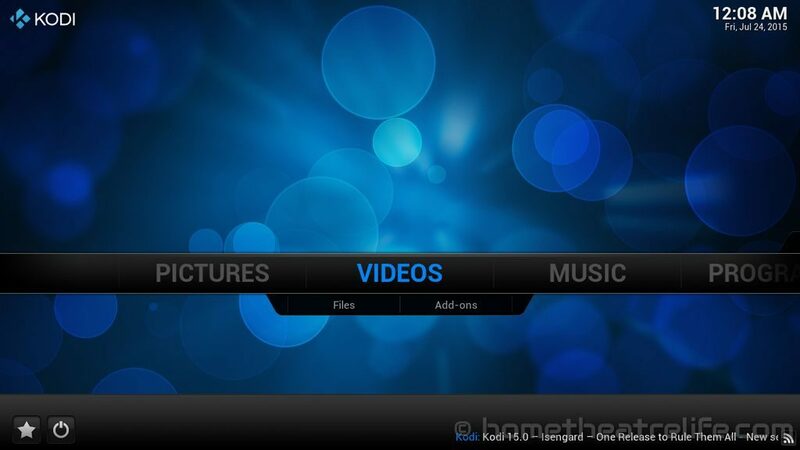 Kodi 14.2 is pre-installed and configured to use the included video players as an external player. This is because Kodi doesn’t support the Allwinner H3’s hardware decoder at this stage. I initially had some issues with the external player not loading via Kodi. However, after a reboot, it started working fine. I was able to play the Sintel Bluray ISO in Kodi without any issues so Bluray ISOs appear to be supported. With the 720p UI lock, games only run at the reduced resolution. Whilst the games don’t look as good as they could, with some noticeable aliasing thanks to the upscaled image, both games ran really well. 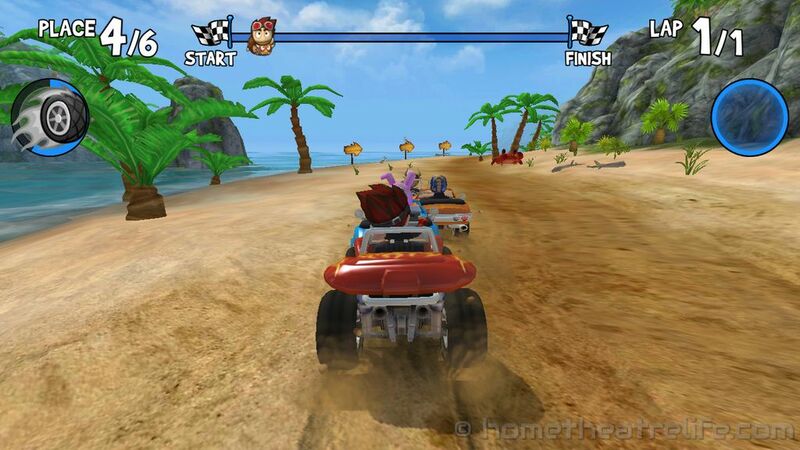 Even with maximum settings, Beach Buggy Racing managed a fairly consistent framerate, with only the occasional dip. As long as you’re ok with the reduced resolution, the gaming experience is great. 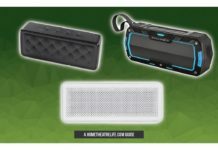 I tried connecting both my Moga Pro Power and iPega PG-9025 via Bluetooth. Whilst the iPega PG-9025 was able to pair, none of the buttons were recognised by the OS. The Moga Pro Power paired fine and I was able to use it to play Beach Buggy Racing. SixAxis Compatibility Checker reported that it was compatible so you should be able to hook your PS3 controllers up via Bluetooth. 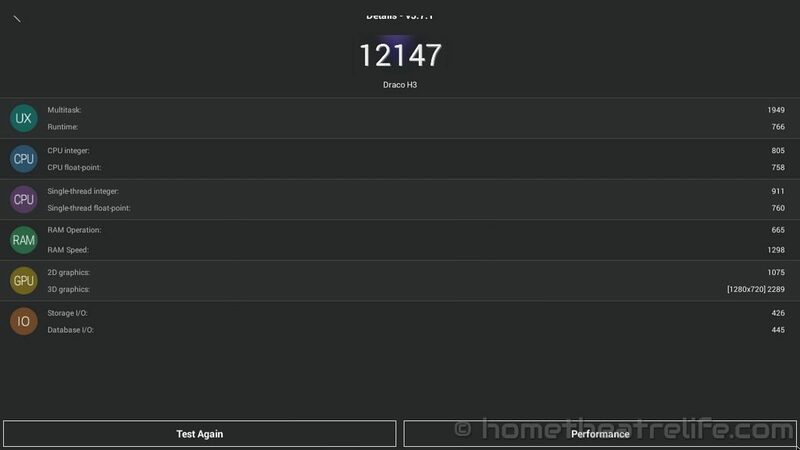 Networking pertformance was tested using WiFi Speed Test. 100Mb of data is transferred between the device and a PC running the benchmarking server application. This is repeated 3 times for each direction and the average is taken. 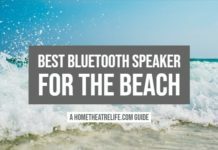 Wireless performance on the Tronsmart Draco H3 was mixed. Average download speeds were good at 23.8 Mbps. Upload speeds were appalling though, reaching 1.56 Mbps on average. Thankfully, the poor upload speeds didn’t seem to impact video streaming, as I was able to stream 4K and 1080p video samples from an NFS share on my server. 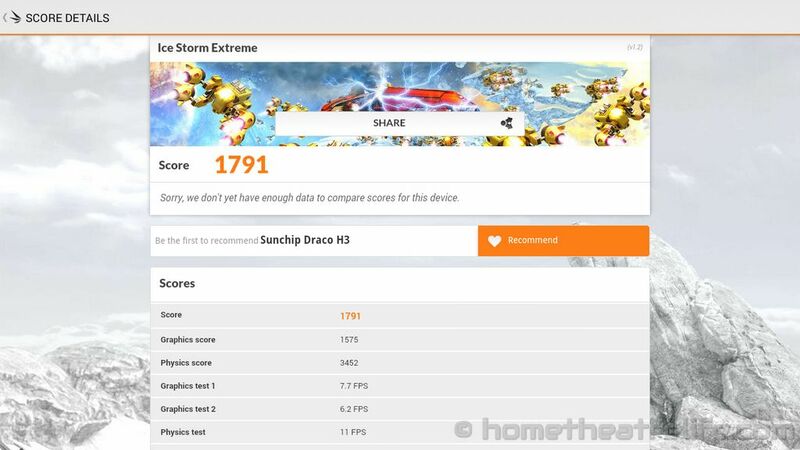 Antutu returned a respectable score of 12147. 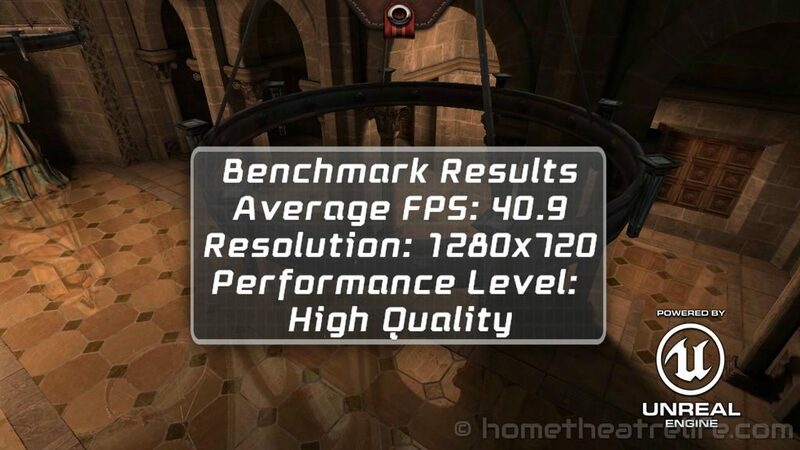 The device achieved 40.9 FPS at 1280×720 on the high-quality setting. The Draco H3 scored 1791 on Ice Storm Extreme. Internal memory read/write speeds were 34.79 and 9.91 MB/s respectively. RAM copy speed was benchmarked at 904.98 MB/s. During testing, I didn’t notice any form of thermal throttling. With an ambient temperature of 20°C, case temperatures were 41.5°C after benchmarking using an IR thermometer. Power consumption was impressively low, consuming under 5w, even under load. As the device doesn’t have a standby mode, no power rating is provided. 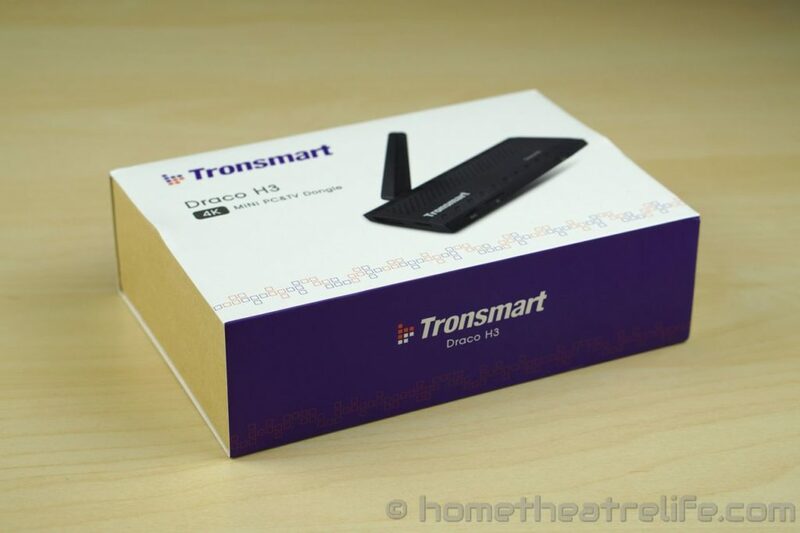 You can purchase the Tronsmart Draco H3 from GeekBuying. Click here to view the latest price. Alternatively, it’s also available from Amazon. 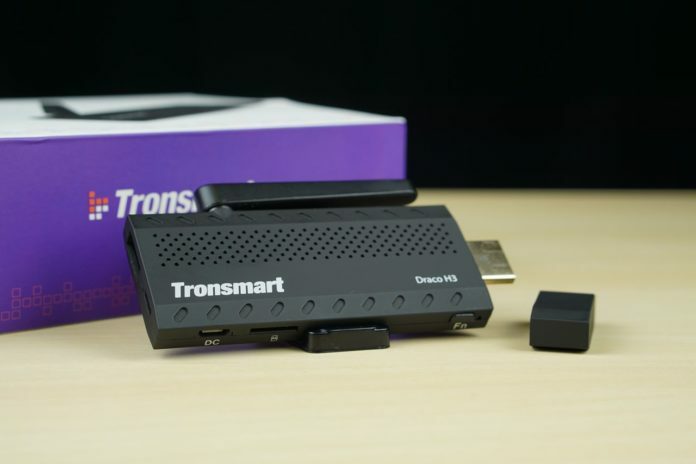 The Tronsmart Draco H3 is good option for those wanting to play a variety of media codecs and have reasonable gaming performance, particularly at its sub-$40 price point. However, Kodi's lack of support for Allwinner H3 and its performance on certain codecs is disappointing. Ultimately though, for under $40, its a good deal for what it can do.